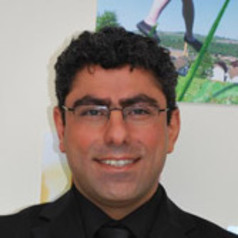 Dr Alam Saleh is a lecturer in Middle Eastern Politics at the Institute of Arab and Islamic Studies, University of Exeter. Prior to this, he has taught in University of Leeds, University of Durham, and University of Bradford. He received his PhD, MA and BA from the School of Politics and International Studies at the University of Leeds. Dr Saleh’s research focuses upon Middle East Politics, International Relations, and Security Studies. His research interests include international relations of Middle East, Sectarianism in the Middle East, Iran’s politics, identity and security, Ethnic/religious conflict and Societal Security, and International Relations and Security Studies. At its most fundamental level my research concentrates on exploring the evolution of the concept of security from its traditional ‘realist’ base through to more ‘broadened’ approaches which enable us to study societal security issues in the Middle East with a key focus being upon understanding key security challenges in the Middle East. His book entitled, Ethnic Identity and the State in Iran which was published in July 2013 by Palgrave Macmillan in New York. The book examines the position of ethnic minorities in Iran and their impact on the country’s politics, security discourses and wider societal trends. In the past few years Dr Saleh has published his works in a number of well-ranked internationally peer-reviewed journals such as the Middle East Journal, British Journal of Middle Eastern Studies, and National Identities, and has disseminated his research at a wide range of conferences and other international forums. Dr Saleh has also been engaged with policy practitioners and external professional bodies such as UK Ministry of Defence, NGOs and Think Tanks.